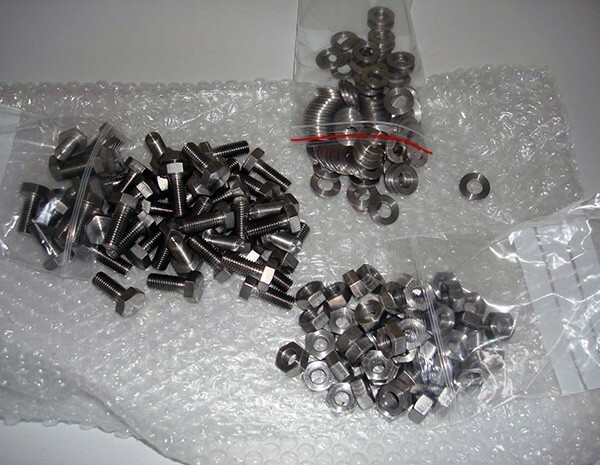 Tantalum fasteners are available at HEXON include screw, bolt, stud, threaded rod, nut, washer and custom made special forms according to DIN, ISO, ASME, JIS and other international specifications. We can supply pure unalloyed tantalum, Ta-W alloy, Ta-Nb alloy or other special tantalum alloy that customers require. 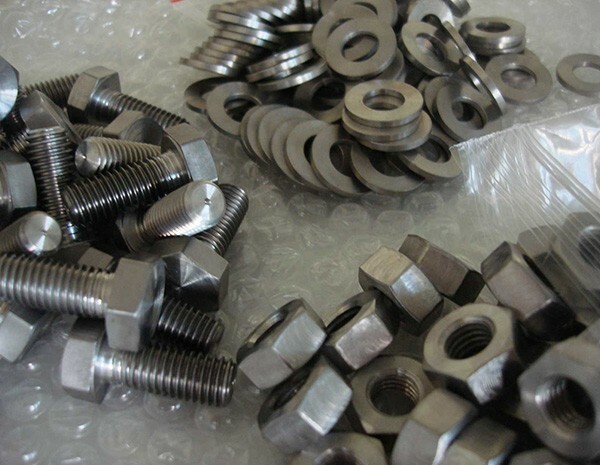 During production of tantalum fasteners, comprehensive manufacturing methods are applied ONLY in order to guarantee the precision that our customers expect. 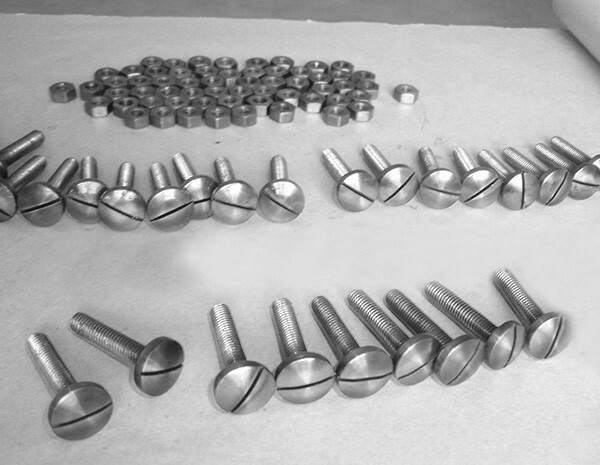 Finished tantalum fasteners will be appropriately annealed to relief residual stress and inspected by Go/no go gauge for every piece.